See and Learn Phrases 3 is designed to teach children with Down syndrome to progress from using single words to using two words together when they talk. 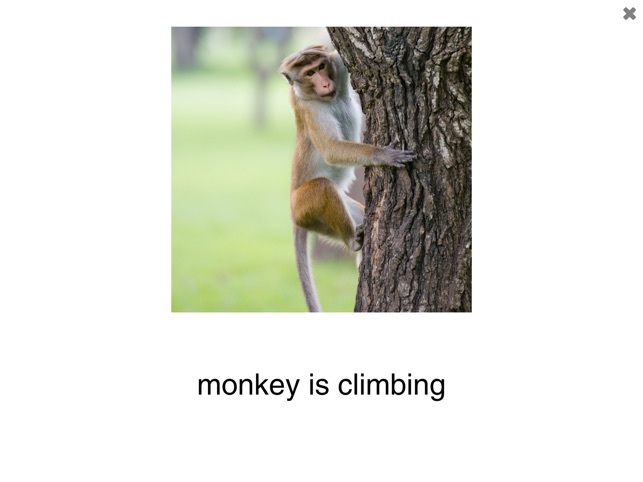 See and Learn Phrases 3 teaches two-keyword phrases illustrated in themed books using early vocabulary that is taught in See and Learn Vocabulary 1, See and Learn Vocabulary 2 and See and Learn Vocabulary 3. 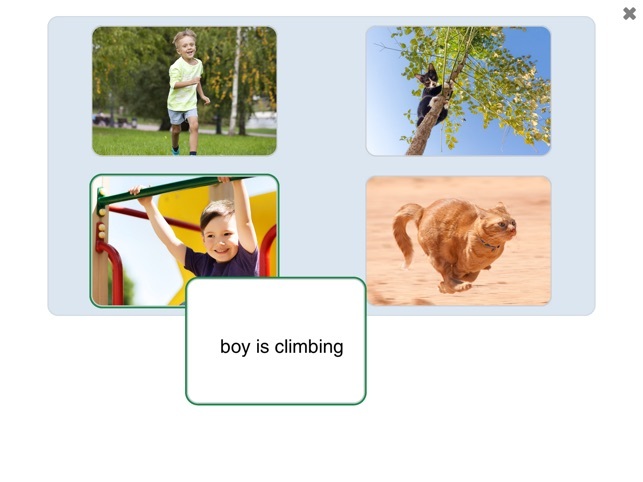 Building on the sight words learned in See and Learn Phrases 1 and See and Learn Phrases 2, See and Learn Phrases 3 also teaches sight word reading using simple matching, selecting and naming activities. 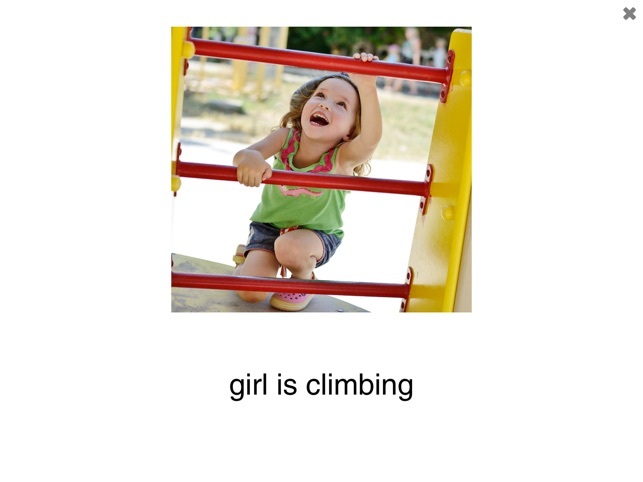 See and Learn Phrases 3 introduces children with Down syndrome to early sight words to support the development of language skills. 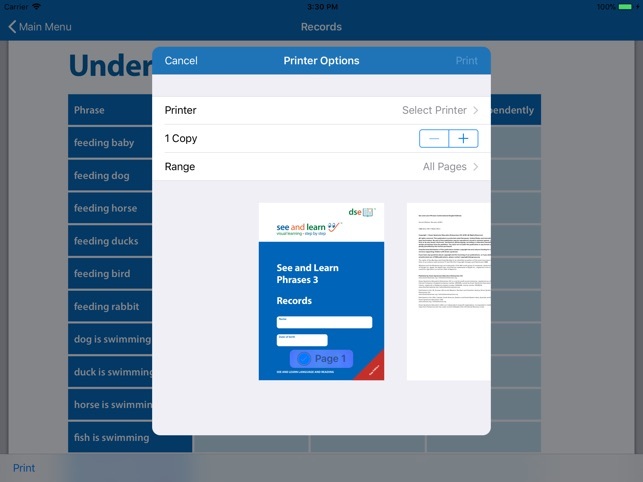 Research suggests that learning spoken language just from listening to it is hard for most children with Down syndrome, but if we support their learning using pictures and print they can make faster progress. See and Learn Phrases 3 is designed and supported by internationally recognised experts to meet the specific learning needs of children with Down syndrome and is consistent with current scientific understanding of the children's needs and effective interventions. 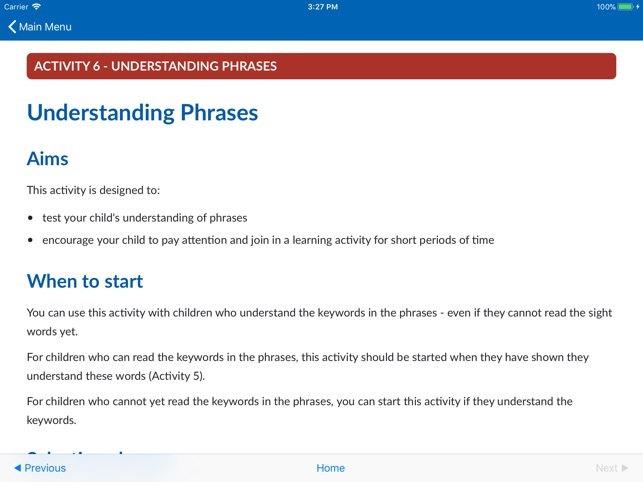 Children who have completed the activities in See and Learn Vocabulary 1, 2 and 3 and in See and Learn Phrases 1 and 2 should be ready to start the activities in See and Learn Phrases 3. 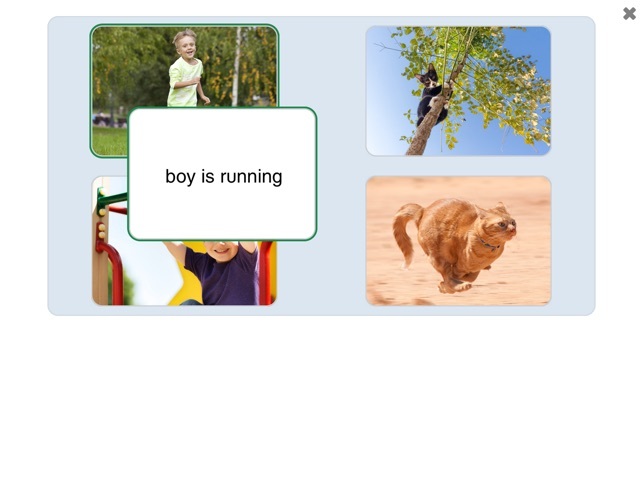 See and Learn Phrases 3 includes 6 activities to teach 48 two-keyword phrases and 35 new sight words. It also includes 13 sight words that were previously introduced in See and Learn Phrases 1 or See and Learn Phrases 2 to encourage success by building on and extending what your child already knows. The phrases include 4 different types of two keyword phrases that children learn at this stage of language development. The sight words taught include nouns, verbs, prepositions, an article (the), auxiliary verb (is) and conjunction (and). They also include the regular plural form 's'.